The wartime role played by Forth ports and the sacrifices made in West Lothian form part of a play in which Linlithgow musicians feature. 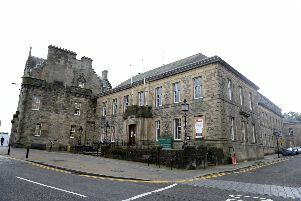 The show, called There Was A Soldier, features Linlithgow musicians Bob Proudfoot and Neil Macdonald, better known as Cockleroy. They will be joined by choral singer Julia Stevens. Put together by company OpenCast, it garnered a five star review when it was performed at the Edinburgh Fringe last year and has returned by popular demand to commemorate the centenary of the end of the conflict for one day only. And it will be performed on Thursday, August 16, at Stockbridge Church at 3pm and 7pm slots. Spokeswoman Mary Boylan said: “The show consists of songs, slides, Scottish poetry and stories with plenty of humour and there are plenty of local connections in the show. “In Linlithgow there is the story of Elsie Dalyell, who along with Elsie Inglis, set up the Scottish War Hospitals in Serbia and France as well as the grandfather, who volunteered at age 48, to fight at Gallipoli. “There’s also the story of the German prisoners of war who were encamped in the field south of Riccarton Farm. They were tasked with creating Beecraigs reservoir but were so slow that the job was given to conscientious objectors after a few months. The wartime naval history of spots like Hawes Pier, Port Edgar and Inchkeith Island also feature heavily in the production. Tickets are available from Dechmont Post office and the Fringe Box Office.